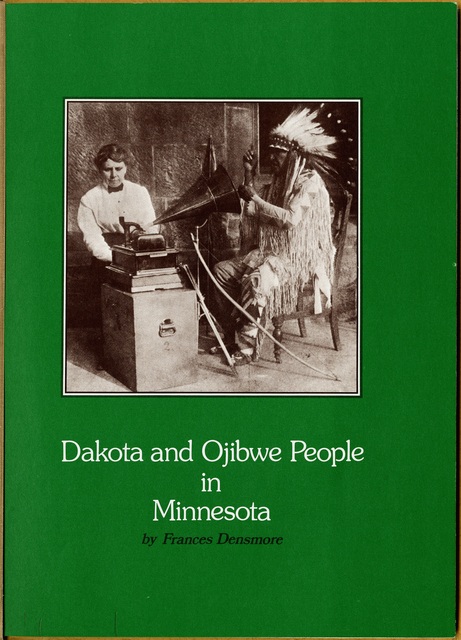 Ethnologist, musician, and author Frances Densmore was born in Red Wing, Minnesota in 1867. Her professional interest was in Native American music; she spent her life traveling the country and recording on wax cylinders nearly 2,500 songs of the Dakota, Ojibwe, and other tribes. Her recordings are preserved at the Smithsonian; her papers are at MNHS. 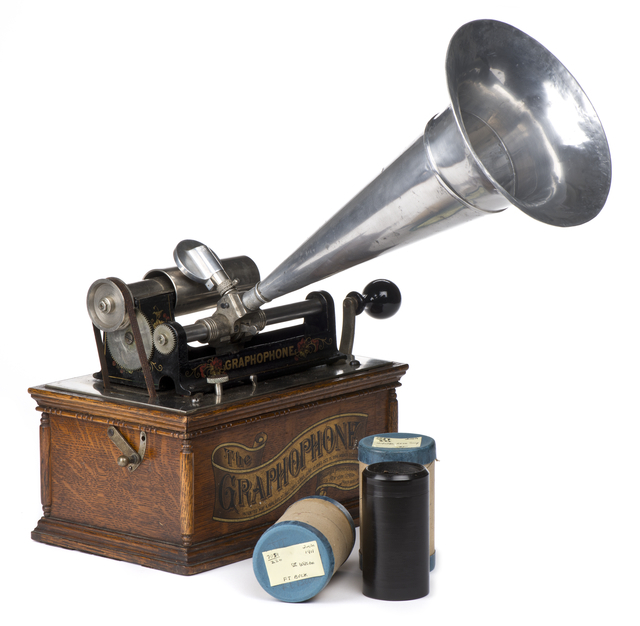 These images are of one of the books she authored and a gramophone she used to make recordings dated 1897. See her papers in the Library.